Microsoft has just launched a new project aimed at trying to lure customers into upgrading to Windows 10 services designed for enterprises. The new program called “Windows Insider Lab for Enterprise” or WILE for short is an invitation only-program that will allow IT professionals to test-drive current and pre-release services and features first to improve the user experience for other Windows users. WILE is essentially a sandbox where users can try out Windows Enterprise without fully committing the back-end resources of their organisation to the endeavor. 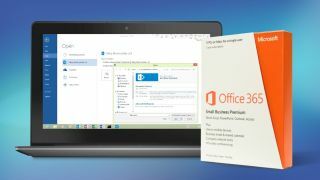 Users chosen by Microsoft to participate in the program will be able to conduct tests and demonstrations, work with Office 365 documents and monitor the defenses of other systems connected to their network. The company has even created a pretend enterprise called Olympia Corp. for participants of the WILE program. They will receive an Olympia corporate account as well as an “name@olympia.windows.com” email address to use with Outlook which will provide them with a free license to Office 365 when signed in via their new account. The added security features of Windows 10 Enterprise will also be accessible which include Windows Defender Application Guard, Windows Information Protection and Windows Defender Advanced Threat Protection (ATP). As long as your devices remain enrolled in the WILE program, their Enterprise licenses will remain valid which should encourage users to continue to participate or consider fully upgrading to the Enterprise edition of Windows 10. Organisations or IT professionals interested in the program can sign up by completing a short survey after which Microsoft will decide if they are eligible to test-pilot the WILE program.